Without the financial support of these sponsors, we would not have been able to even get the project started. The Calgary Foundation, established in 1955, facilitates collaborative philanthropy by making powerful connections between donors and community organizations for the long term benefit of Calgary and surrounding area. 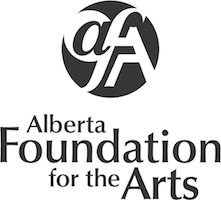 As the primary arts resource and grant funding body in Alberta, the Alberta Foundation for the Arts helps to unleash the potential of every artist through funding, arts promotion, and capacity-building services. We provide behind-the-scenes support to artists and arts organizations, giving them the power to inspire minds, encourage expression, foster creativity, and contribute to Alberta’s economy. Without the financial support of these sponsors, we would not have been able to finish the film the way we wanted to. TELUS Optik Local supports the production of local, independent content creation and high quality community programming, and workshop or training events that provide the community with opportunities to learn how to create such content. The National Film Board’s mandate is to reflect Canadian values and perspectives through the production and distribution of innovative Canadian audiovisual works accessible in relevant media of today. 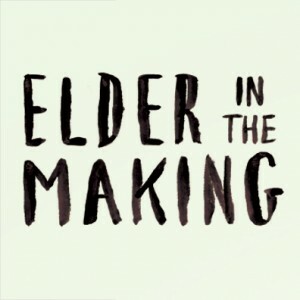 The Filmmaker Assistance Program (FAP) is designed to help developing independent filmmakers complete their films/videos by providing technical services and support. These partnerships gave us access to much needed connections, relationships, and networks. 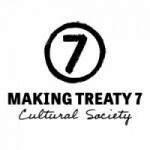 The purpose of Making Treaty 7 is to produce an event, of both local and international interest, with the potential to act as a transformational agent for people of all ages and backgrounds. Inspired by the founding event of modern Southern Alberta, Making Treaty 7 invites Calgarians, and all Canadians, to consider an enlightened, sustainable future – for all of us. Bridges was created for the purpose of capacity building and training of community, professional and youth leaders in communities where the organization had been invited. We are always looking for new sponsors to further develop the film. If you are interested in supporting this project, please get in touch with us!